Watching movies with your family or friends is a great way to unwind after a hard day at work or at school, so you should do on a regular basis. 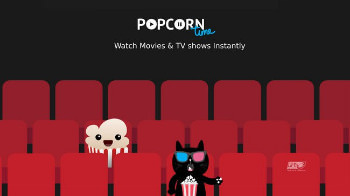 While there are many applications that can help you improve the quality of the time you spend together, Popcorn Time is a special one since it provides you with the movies you can play for your buddies. It needs to be emphasized from the beginning that it is best to run the application on computers running operating systems newer than Windows 7 (it may also work on older ones, but the user experience is bound to be affected). The graphic interface is highly intuitive so that even if you have little or no computer you will still be able to understand the functions. Basically you need to explore the movie categories and look for one that appeals to you, be it a drama, thriller, animation, comedy, Sci-Fi, fantasy, documentary, mystery or musical. Alternatively, you can enter a keyword and and search for a specific movie right away. Once you have found an entry that interests you, you can select the quality you like best, such as 720p or 1080p, then start watching the clip. One of the main advantages of Popcorn Time is that it sports various types of subtitles for the movies it supports, so you can easily select the language you prefer. Furthermore, you can also load a SRT subtitle from your own computer, that you have previously download from another source or that you have manually created. All in all, Popcorn Time can be used by all those wh’o enjoy watching a nice movie every evening and who also like using their own custom subtitles so as to understand the video much better.